Here’s a fun little sneaky trick to pull on someone that you just have to beat in a friendly karting competition. Juan Pablo Montoya hosted the Carrera de Estrellas karting event in Colombia with a number of racing stars, including drivers Gustavo Yacaman and Travis Pastrana. 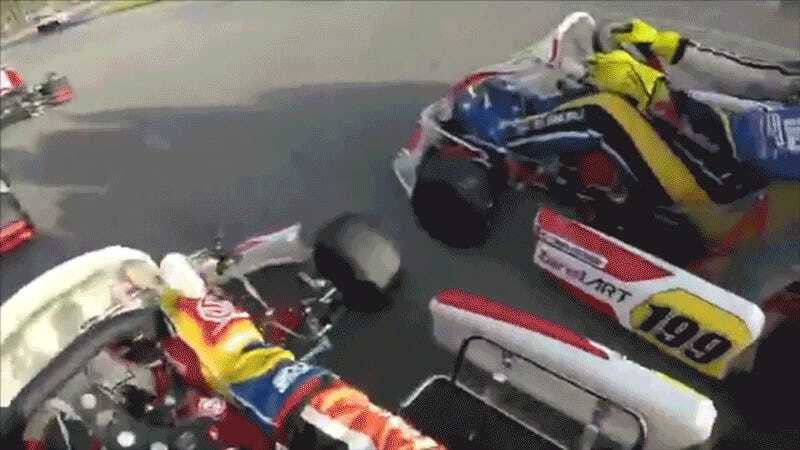 As the group got going, Pastrana probably should have watched the starter button on the side of the kart a bit closer. All the shenanigans, with none of the electric shock? Sounds like a prank that must be played, provided you’re not actively competing for anything more than bragging rights and/or the dinner bill.